With Janmashtami coming again soon, it's the time to plan for the decorations of your home. If you are already acquainted with the ways of the celebration of this festival, you must have noticed how people plan for special puja decorations on the occassion. This is nothing but a way to invite Lord Krishna to individual homes in as grand a manner as possible. A nice decoration also prepares the right ambience for the celebrations. If you are planning to perform Janmashtami puja this year, you too can provide a warm welcome to natkhat Nandlala with our decoration ideas for Janmashtami. Adopted rightly, these can go a long way to make this Janmashtami a memorable time for you as well as your family and relatives. So check out our Janmashtami decoration ideas. Incorporate these in your celebrations if you like, and do not forget to click here to refer this article to your near ones. Spread the cheer and good spirits of this divine occassion. Happy Janmashtami! The splendid festival of Janmashtami is celebrated every year to commemorate the birth of Lord Krishna. 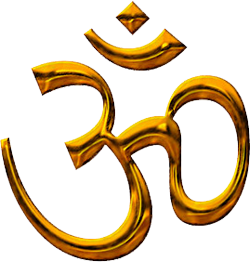 The occassion sees grand festivities worldover by the Hindu community which spares no efforts to make the birth anniversary of their favourite God a majestic and memorable event. Whether in temples or in individual homes, the Lord is worshipped everywhere and his is the name that is chanted all over. Many people observe this festival at home in a grand manner. 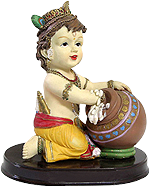 An idol of Baby Krishna is put in a cradle which is decorated with flowers and jewels. Conches are blown at the midnight hour to symbolize the hour of the Lord's birth about 5,000 years ago. The deity is invoked and offered varied milk products to eat. Petals of flowers are also showered on the idol. The festival stands as an evidence of human love for the divine and is the time when relatives meet with each other. It is a time when homes are cleaned and decorated with flowers and other decorative items to welcome the Lord. A festive makeover is given to the whole house, especially the ‘puja ghar’(worship chamber) and also other places like the kitchen, drawing room and other rooms of the house. The center of attention of the day is obviously the 'puja ghar'. It is brightly decorated to welcome Lord Krishna and fill the house with His blessings. Lord Krishna's idols and sculptures form the prime decorative pieces for Janmashtami celebrations. These are needed for the 'puja' (worship). The most appealing decorative pieces are 'Muralidhar' (Lord Krishna playing flute) or Radha-Krishna statues (Lord Krishna with beloved Radha). The Janmashtami puja can be performed with these idols and hence, can be placed in the puja room. Wall hangings with the image of Lord Krishna on top are also great as Janmashtami decorative items. Janmashtami being a sacred occassion, celebrated in a traditional way, wall hangings with ethnic touch are always preferred over others. Embroidered cloth panels are also quite popular as a festival decorative. colors adorned by multicolored glass beads, golden globules, shining mirrors & fancy motifs. Popular Janmashtmi symbols like flute, peacock feather, pots containing butter(Shrikrishna's favourite food) and cows are often stiched on them. These attractive motifs symbolize Lord's activities while during his stay on earth. 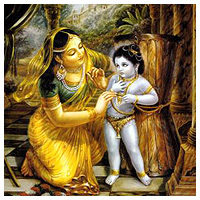 Janmashtami is the festival that commemorates the birth of Lord Krishna. Hence, one must not forget the cradle of the Lord which can be a beautiful decorative piece for the occassion.